School children doing their homework! Over the past 15 years, the world has made amazing progress in reducing the number of children dying from preventable causes; through immunisations, life-saving treatments, and other proven health & development interventions. In 2015, the world is committing to ending extreme poverty and preventable deaths of children under 5; however, in order to end preventable child mortality, we have to focus on nutrition. At present, malnutrition is responsible for nearly half of all under-5 child deaths (or 3.1 million children) every year. Recent studies have shown that for every $1 spent on nutrition, the returns to society are $16. 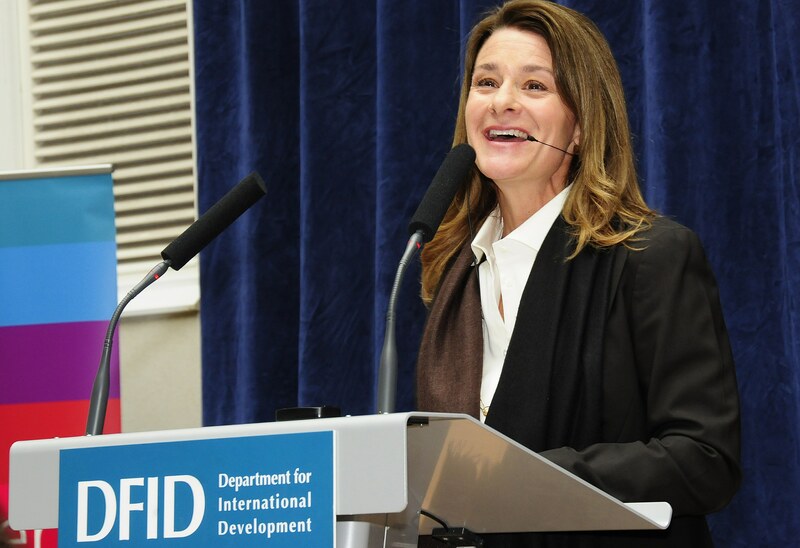 Melinda Gates just today called exclusive breastfeeding a “miracle investment.” Yet globally, nutrition represents only 1% of all official development assistance. That is why the announcement today by Melinda Gates that the Bill & Melinda Gates Foundation will more than double its investments in nutrition to $776 million over the next six years is something to celebrate. This investment to tackle child mortality will help girls, boys, and women not just survive, but thrive. This additional investment, along with another made by the Government of Canada, will unlock 50% (£156 million) of the £280 million in ‘matching funds’ that the United Kingdom committed as part of the Nutrition for Growth Summit in 2013. These unlocked funds will enable the UK, already a leader on nutrition, to invest even more on high impact nutrition interventions. Half still remain, ready for other donors who are willing to step up. The timing could not be better, for later in the week, the leaders of the G7 are going to meet in Germany to agree upon their goals for 2015. This announcement should be a clarion call to G7 leaders to make bold commitments this week, and at the Financing for Development Conference next month. ONE will be attending this years G7 meeting with hundreds of Youth Ambassadors! Public finance is critical for basic services like nutrition, but it can’t all be provided by the G7 or donors. That is why ONE is proposing a Mutual Accountability Pact for the Financing for Development Conference this July that includes minimum spending levels for basic services, mobilizing domestic resources for development, inclusive growth, and accountability through improved data. As Melinda said, “investment in data is key. Data collection is elemental.” Catalyzing a data revolution is one of the five key initiatives on nutrition announced today. At present, nearly half of all countries in the world don’t even have the numbers to track how they perform on nutrition. More support to efforts like the Scaling Up Nutrition movement, and the new partnership with the EU on National Information Platforms on Nutrition can help change that. We know that poverty is sexist, and that hungry mothers have hungry daughters, continuing the cycle of poverty that will prevent the world from reaching its bold ambitions in 2015. Let’s make sure that world leaders follow Melinda Gates’ lead, to give more money to nutrition, and get more nutrition for the money. Want to get involved? Read the Poverty is Sexist and DATA reports, sign our petition and stand with girls and women everywhere!